Hale is a contemporary yoga studio offering professional guidance to those seeking balance of mind and body. Designed specifically to open up tight backs and shoulders in back bends postures. Assist in enhancing your flexibility as well as inversion with the use of a Yoga Wheel. Suitable for all levels. Our Aerial classes centered around mental focus and safety measures used in Aerial Yoga classes. 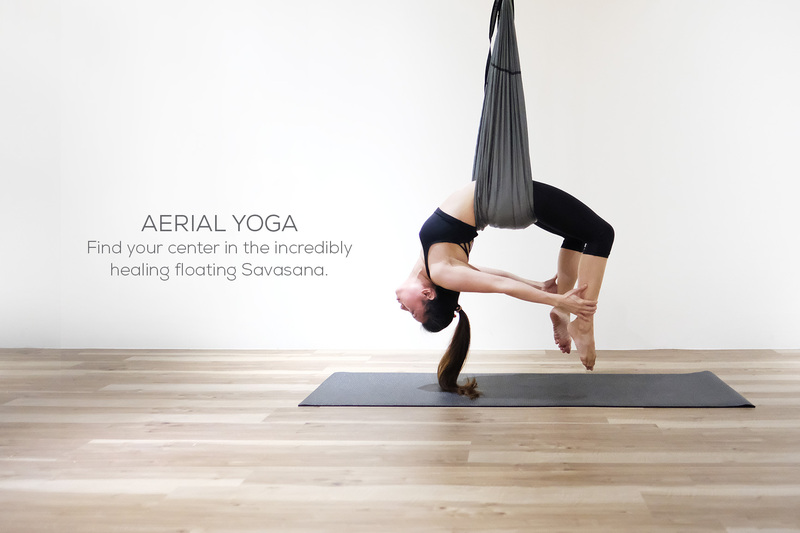 Aerial Hatha is ideal for beginners who are ready to ‘fly’ with us for the first time. Iron Flow is a dynamic and challenging flow practice with weights. The class is structured to build strength and foundation with weights of your choice while you explore a repertoire of poses and transitions. Package validity will only be activated on your first class. Multiple purchases are allowed. Feel free to contact us for more information! 6 Classes Starter Pack at $90. First timer only. Start your yoga journey with us! T&Cs apply. 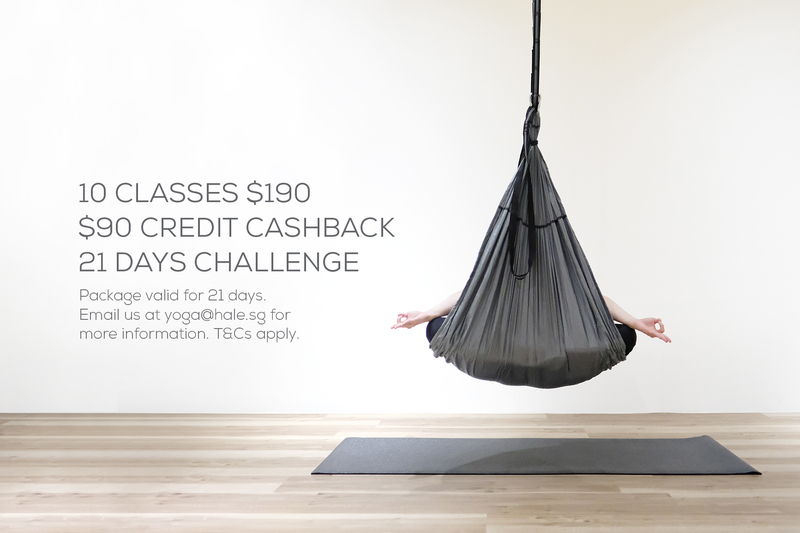 10 Classes Challenge at $190. Complete 10 classes within 21 days and get $90 cash credit rebate! T&Cs apply.